Camping is a fun past time that many men and women around the world love to do. Some people enjoy doing it any time of the year, anywhere in the world. However, proper essentials are needed for any camping trip. This is where backpacks come into play. They can massively helpful, so it is essential that camping backpack brands get it right. However, some decide to use backpacks they might use around the city or at school. This is a terrible idea, as camping backpacks are made specifically to take outdoors and assist you as the camper. This is where camping backpack brands shine and help you get the most out of your trip. Of course, you will need a lot when you go camping. So much is needed in the average person’s camping gear. Important stuff too, like camping chairs and camping coolers. You’ll even need to come prepared for shelter, which is why instant tents are so useful in these cases. We feel the best tent brands overall are the ones that provide tents that can be put up with ease. A proper camping backpack is as important as all of that. Some are waterproof while others are water resistant. Some are big enough to sustain your most crucial gear while other bags are too small. This and more can be problematic from a normal backpack to one made for outdoor use. You can see why knowing the best backpacks to take camping is so important, right? In this guide, we’re going to go over some incredible camping backpack brands that get right with their bags. We’re certain you’ll find the best brand for your needs here. The Arc’teryx brand is a Canadian based company from Vancouver, British Columbia. Due to where they’re located, it should come as no surprise that they know a lot about backpacks for the outdoors. They specialize in this area, but also sell a number of outdoor clothing items too. They sell backpacks of all types as well, even some specifically designed for time on the water or in the mountains. Arc’teryx also have your standard computer and traveling bags too. All of which are excellent bags from their ratings and reviews. However, we’re specifically focused on the types of bags we’d take on a camping trip. This can be similar to bags you’ll take with you on a hike as well. Different brands call them different things, so don’t be too thrown off by that. We’re big fans of the bag the Arc’teryx brand calls the Alpha FL 45 Backpack. It is capable o holding a ton of items on the outside, such as picks and rope for climbing purposes. The bag is made lightweight, meaning you won’t be carrying bag weight along with the weight of what you put into it. This allows you to move quicker, due to less weight. It can be used on what the company calls “minimalist climbing.” This means the standard climbs and not that of what you’d see for mountain climbing. The bag is laminated and incredibly 100% waterproof. That means if a rainstorm comes or you fall into a creek, river, etc. then your bag’s contents won’t get wet. 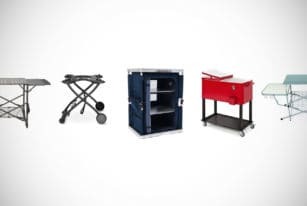 This can be essential when storing things like maps or possible fire-making equipment. The bag is equipped with various webbing on the outside to allow custom attachments. This is where you can employ some creativity. The webbing is incredibly strong, so you can store quite a lot here. This bag comes with N400-AC² pack fabric for the inside. The shoulder straps are amazingly comfortable, allowing you to avoid needing extra padding. It comes with N400r-AC² nylon 6 ripstop, Burly™ Double Weave fabric, and HyPUR-cel™ foam. This backpack also employs RollTop™ tech to seal the bag. It can hold up to 45L in contents, or about 11G worth. All of their bags seem to be like this, each offering their own unique tech and greatness. Some are smaller than this, while some can be slightly bigger. Overall, this particular bag just shows their amazing camping/climbing backpacks. The price range for the Arc’teryx backpacks is considered to be relatively industry-standard. We cannot claim that all of their bags will fit our average, as they come in a wide variety. However, the average price for the camping bags is between $150 to $200. Despite this, they have just a few bags they are below this as well as a few above it. The Arc’teryx brand offers free express shipping on their items, which is great to see. This puts them in a good spot among camping backpack brands, as many offer a version of free shipping. However, some tend to do it on the size of the order. Since this is something good to mention about them, the Arc’teryx brand has a tremendous sustainability program that deserves merit. If you want to find out more about this, click here. The Mystery Ranch brand is one of the best backpack brands for the outdoors. All of their bags are incredibly well-made and we could not possibly love them more. Heck, we’d buy most of their bags if we could. The reason for this is due to how wonderfully they are made and how often you can find a backpack that fits your specific needs. Want one for climbing? They’ve got it. Want one for camping or hiking? You’re covered there too. It is truly a company that Men’s Gear cannot get enough of. They have various sections of backpacks that we could choose from and display the power of the Mystery Ranch brand. Yet this list is about the best camping backpack brands, therefore, we’re going to stick with the ones that best suit you on a camping trip. If you know anything about backpacks, you’ve likely come across the Mystery Ranch Ravine 50. It is made incredibly well, but everything it provides truly makes it a backpack you’ll love more than most bags you’ve owned in the past. They claimed they wanted to strike a balance between lightweight and beefy with this backpack, and we feel they did just that. It comes in 4 sizes, which needs to be considered before you buy. Each size offers specific amounts of space. The bigger the size, the more you can store, of course. So you can understand this more, the average size weight is 4.5lbs. Due to the likelihood that you’ll be walking around a good bit with this bag, Mystery Ranch wanted to make sure you didn’t lose it. This is why they added a removable, double-wrap, redirect waist belt. This is used to keep it in place, but if it begins to bother you, just take it off and get rid of it. The main backpack contains two vertical composites and a molded lumbar frame sheet. The weight of the bag naturally distributes out evenly, making it easier for you to avoid leaning weight and future back trouble. The patented Futura Toke micro-adjusts to your torso, which allows the back and frame to stay up properly. It also includes a classic 3-ZIP design that allows ease of access completely throughout the back’s interior. It also includes standard water bottle pockets, side compression straps, and it is even adjustable for tool attachments. The material used for this backpack is 210D and 330D Robic fabric as well as YKK® Zippers. It currently sells for around $250. The price range for the backpacks by Mystery Ranch vary, like others in the industry. Camping backpack brands typically charge somewhere near $150 to $250 on average for their backpacks. That does not mean all are great, however. Mystery Ranch is a proven brand that has provided great backpacks for a very long time. That is why we can give them a slight pass for their higher prices. They currently have a $300 average for their camping backpacks. Many are under this price while some are over it. However, that is the average price for their highest rated bags. You can read more about the way their warranty works here. Yet this is not exactly true. They have a large male customer base, and they make items specifically for them as much as they do for women. However, they also sell both “male” and “female” backpacks. We feel, at Men’s Gear, backpacks should be unisex. Mostly because they are not supposed to be a fashion statement but utilitarian and for a purpose in their use. This is really our only complaint about The North Face brand. They have some great backpacks that can be used for hiking, camping, and more. All of them have some incredible features that you’ll likely love seeing. The Recon Backpack from The North Face brand is our favorite and one that shows what the brand can do when they focus only on camping/hiking backpacks. The backpack comes in a variety of colors, but that is for a purpose it appears. All of the colors they provide the backpack in are reflective. This means that you can use your backpack to be found if you get lost while out camping or hiking. It can also help if you’re on a road at night, as the light from a vehicle will reflect back at a driver causing them to see you. This reflective part of the bag goes for 360 degrees, meaning the entire bag is going to have this feature on the outside. It can carry up to 30L of weight and contents and has standard mesh water bottle pockets that can be used for other material. It also features a quick-draw cell phone pocket for easy access. On top of this, it contains an external, fleece-lined pocket for keeping things like electronics dry. It also contains a special FlexVent™ suspension system that features a flexible yoke joke build, utilizing custom injection-molded shoulder straps. This is accompanied by a padded back and breathable lumbar panels. The overall material used for the backpack is 600D Polyester Toile, 500D Nylon Oxford Slub, 420D Nylon, 210D Cordura® Nylon Ripstop, and finally Polyester Jacquard Camo. This bag sells for about $100. The price range for The North Face is relatively good compared to other brands. They import a lot of their items, making them a bit more affordable by comparison. That means they can sell backpacks for pretty affordable rates of $80 to $150. However, they have several backpacks that cross by this in the $250, $275, and $300+ range as well. These bags are premium types, which is likely why they go so high up. The company also offers a lifetime guarantee on all of their items, especially their backpacks. Gregory Backpacks are clearly one of the top camping backpack brands in the world today. They offer so much with their bags that it’s almost impossible to find a flaw with most of them. Even if we took the time to look into every single facet of the company, we’re sure that we’d still love the bags they produce. Overall, the brand has been smart about how they make their backpacks. At times, they have utilized their bags in bigger ways. For example, they have hydro-bags that can be bought separately to use on camping trips or exploration. We all get thirsty, right? Yet some of these can go inside other backpacks that the Gregory brand makes. Quite literally, they made bags that can hold other bags they made. It’s not exactly rocket science, but it was a brilliant concept that could be utilized in a smart way. A favorite backpack among many is the Citro 25 backpack. The Gregory brand made a backpack that can be used for just about anything. However, its main purpose was to be used for hiking, climbing, and camping. This is one of the most brilliant backpack designs we’ve ever seen. We don’t like overselling backpacks or any product, but when you hear or see about this bag, you’ll see why we love it so much. Basically, they offer two bags with this. You get the Citro 25 Backpack, as well as an included 3L hydro-bag to store water in. It comes with its own hook to hold it up when needed. However, the backpack comes with a hook inside to store it. This then opens up with a tub that runs through the backpack and allows you to drink water as you walk via the Drylock Magnetic Bite Valve. The bag is water resistant, yet nearly waterproof too. It also comes with a breathable, moisture removing back panel that won’t let you get too hot. This also comes with a dual-layered bottom panel for extra added durability, along with outside comfort-grip, custom-molded loop zipper pullers. On top of this are stretchable mesh pockets throughout the backpack, as well as buckled areas at the front of the backpack to keep the bag on you at all times. Here you’ll see a comfortable hip pad that can easily store a phone. Due to the size of the hip pads, they can store several other items, on top of phones. To see more about this backpack, click here. The Citro 25 Backpack is currently available for around $130. 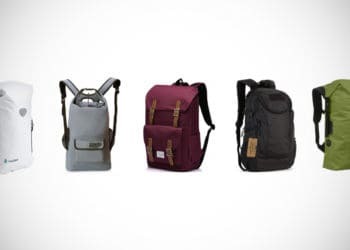 The Gregory backpacks are all relatively fair priced and slightly under the industry standard. Average backpack costs range from $40 to $180. They seem to be open to people from all walks of life. The more expensive bags tend to also include a lot of extra material that makes them worthy of the increase. Despite this, you won’t see many backpacks over $200 from the Gregory brand. While many camping backpack brands charge this in average pricing, Gregory knew they could make them for less and did so. The brand offers a lifetime warranty on their items, however, they do have rules regarding their use. To view those, click here. The company also partners with several non-profits from all walks of life and has a good sustainability program. We recommend you check both of those out and see how you can help them in their mission. It’s hard to find camping backpack brands better than Osprey. For some reason, they think of literally anything one needs to have in a backpack. When you go camping, you want to store items well. However, you truly want to make sure you can walk without any issues. You want your bag to manage well as you’ll be carrying it for a little while. It must be capable of supplying all major essentials on top of other things you might need to take for your own specific needs. Osprey delivers this in spades with all of their backpacks. This is especially true of the bags used for camping, backpacking, hiking, and more. When you look up a list for the best backpacks for any of those, Osprey likely tops out the list or you see multiple bags of theirs on it. It’s simple fact that they know what they’re doing. Like Gregory Backpacks, Osprey wanted to make sure they built a backpack that can have everything you need right there with you. This is pretty essential, as every backpack model should do this. The question is, what does Osprey provide that Gregory and others may not? Osprey has a ton of backpacks, but since our primary concern is camping and outdoor, we wanted to find a backpack that was perfect for this. The Rook 65 is just that. Keep in mind that the Rook 65 is a male backpack while the Renn 65 is a female backpack. However, they do virtually everything the same. That means you won’t have to deal with assets one bag has that another does not. As for what these backpacks can do. 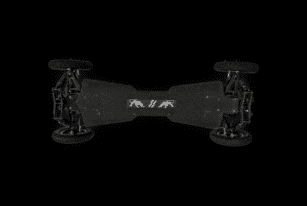 They are lightweight and have an interesting, new adjustable torso system. That means you can move around the main section of the backpack that uses your back to carry partial points of the weight. On top of this is The LightWire frame, which helps distribute out the backpack weight even further near the hips. This only helps it become comfortable to carry all times of the day, in all weather conditions. On top of this is a mesh, breathable back-mesh to keep you from getting too hot. It also adds a bit of coolness as you walk, instead of built-up warm and sweat. The Osprey brand also includes a heck of a lot with this backpack. You read all of that right. This all COMES WITH the backpack. The hydration sleeve is similar to Gregory’s hydro-pack, as it stores water that you can grab out and drink while on the move. The rain cover goes over the backpack effectively giving it waterproof capability too. The AirSpeed Back Panel looks somewhat like a lumbar rest, but it essentially keeps you from easily touching the backpack with your back, allowing for the sweat build-up not to form. This is accompanied by soft, edgeless shoulder straps and great hip pads. You can buckle it up with the clips at the torso and hip to keep the backpack from ever coming off. Osprey also includes their Daylite Compatible. This can easily clip onto the removable panel cord loops, also included. Of course, inside the backpack itself, you can hold 65L worth of weight and volume. Overall, it can hold about 40lbs without difficulty. The material that makes up this backpack is 600D Polyester, 450D Polyester, 1000D Nylon Packcloth. This sells for just $165. It is clear that Osprey gives a lot when they offer a backpack to the world. They don’t like to offer a small bit of something and assume their backpack is all you’ll want or need. They want to include various accessories that can make it worth even more. This is why their price range, more than most other brands, makes sense. Despite offering so much, they have heavily competitive prices. The average price for an Osprey Backpack ranges from $165 to $375. Of course, if you thought the model we showed you offered a lot. You should see what the more expensive ones offer. They also offer free shipping on every item but Pro on their ground orders. However, you’ll need to cross by the $40 to $50 range in price. Since most backpacks cross this, you should be fine. They offer expedited shipping, but for more cost. This differs on international orders. You can see the full shipment information here. There is a lot to love when it comes to these wonderful camping backpack brands. Some of them add extra material beyond just the backpack itself. While not needed to secure our love for the bag, it’s a nice addition that makes the price even more worth paying. Meanwhile, others focused primarily on the backpack’s design and pinpointed exact wants and needs by both men and women. This led to innovative concepts being used in the backpacks, making them even better for climbers, hikers, and campers alike. It does not matter, truthfully, which brand you decide to go with from this bunch. Each and every single one seems to always deliver when it matters most. Each company also offers its own form of warranty, which very well could be how you can determine which brand fits you and your lifestyle the best. Either way, we hope you check all of the brands out that we listed. You’ll be glad you did. To see the best Waterproof Backpacks on the market today, check out our buyer’s guide, right here. If you want to experience BBQs wherever and whenever you are, you might benefit from a great grill table or prepping station, like the ones highlighted in our guide below. 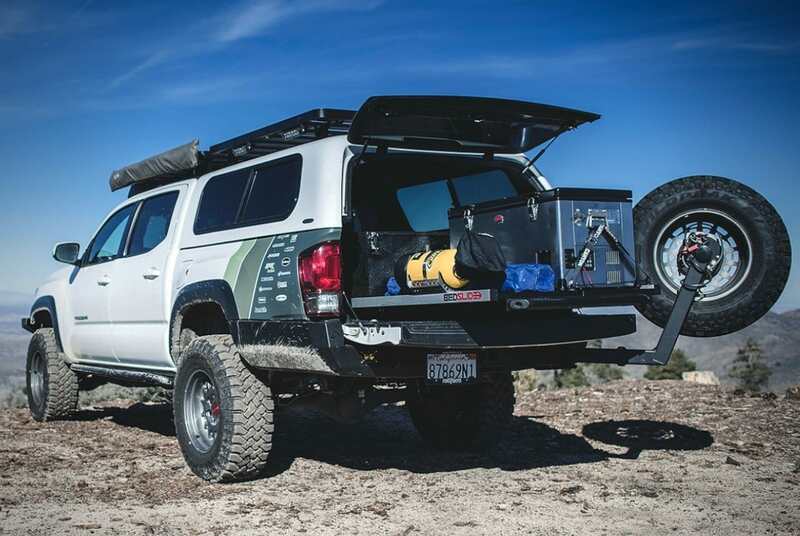 Bedslide truck drawers have this clever slide-out rack system so you get access to all your items and supplies behind the truck in a matter of seconds. 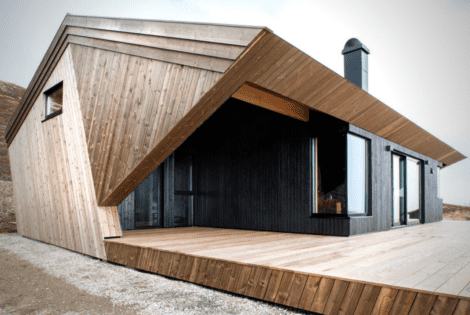 Perched on a mountaintop in Norway, the Hooded Cabin offers home away from home with its quaint, cozy living space. 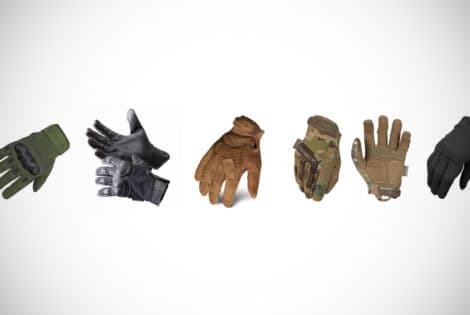 Keep yourself protected with a pair of tactical gloves for men. Soldiers, security men and outdoor workers will benefit from these protective gloves that will keep you safe. Looking for a fun new hobby for you and your buddies? 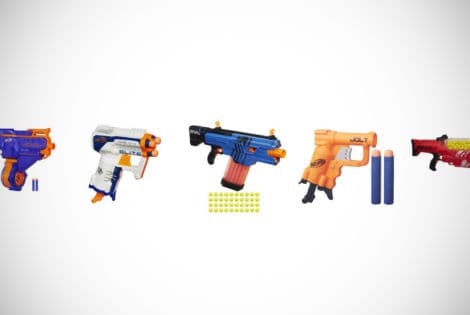 Get one of the best Nerf guns around so you can battle it out all afternoon or even take on other big kids at Nerf Gun arenas!